Iggy Azalea sued by her ex for giving him a sexually transmitted disease. 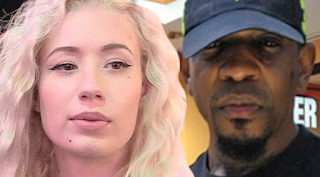 Iggy Azalea may be getting married to Nick Young, but the Australian rapper still has a score to settle with her one of her exes. In a new court document from Azalea’s lawsuit with ex-boyfriend Hefe Wine, who is being sued for illegally releasing music the-25-year-old recorded years agowithout her permission, Wine, 39, claims the “Fancy” hitmaker knowingly gave him a sexually transmitted disease when the two were together.